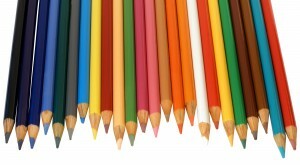 Oil vs Wax Coloring Pencils – What’s the Difference? 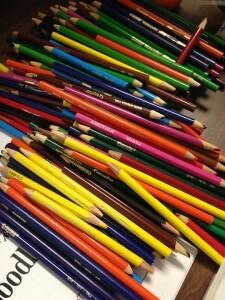 Every artist knows that features of good colored pencils involve lightfastness, durability, and the lead’s softness. It is also known that wax and oil based colored pencils are up there in representing said features. So how do you choose between them? First of all, the differences between wax and oil colored pencils are hardly worth that “s”- they are mostly a result of preference. Regardless, we’ll point them out to you and give you some tips as to where you might use a nice Polychromous as opposed to a Prismacolor. To be very technical, both wax and oil based colored pencils contain wax within them, it’s just that oil-based cores have a higher oil content. Wax-based pencils take the prize for most popular, not necessarily because they are better than oil-based pencils, but because they are slightly less specialized and way more affordable. Range. Wax-based pencils also happen to cover a wide range of grades, from those hard-leaded coloring sticks you used back in high school to the soft-cored sophistication of your first year in art school. Variety. 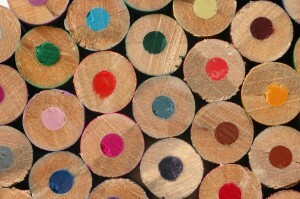 Wax-based colored pencils come in all shapes and sizes and literally thousands of colors. Because the wax core is so versatile, it is adaptable to many styles and types of casing. Wax-based colors can also be very durable given their (generally) harder cores. Softer-cored versions are less durable. When it comes to preference, here’s how a wax-based colored pencil will perform: While they are significantly practical (in terms of cost and durability) than an oil-based colored pencil, a wax-based pencil is noticeably lighter on paper. To accommodate for this characteristic, certain techniques can be used such as skilled layering or the application of a fixative substance. Patience is key when working with wax-based pencils as you can blend effortlessly with an oil-based pencil while simultaneously getting a more intense finish. Bottom Line If you pay attention to technique and practice with a wax-colored pencil, you can produce art that is just as striking as one colored with an oil-based pencil. Oil-based pencils are specialized and as such, sometimes scary to the beginner- as they should be because they require skill on your side to produce a masterpiece. An oil-based pencil is tricky. While the core is going to feel hard upon application, you’ll notice that the color is easy to smear- it’s also easy to blend if you stop freaking out about how fast that happened. The ease with which an oil-based pencil dispenses color and cover means that it does not require multiple rounds of layering or a fixative substance. That being said, the ease with which it dispenses color also means that one stroke dispenses a lot of that color, making them far less durable than a wax-based colored pencil. When it comes to preference, here’s how an oil-based colored pencil is going to perform: While significantly more expensive and less accessible than wax-based colored pencils, an oil-based core means that blending will be a breeze and the finish nice and bright. An oil-based colored pencil will also give your work a more sophisticated look- think of the cohesiveness of an oil painting. That being said, your experience with an oil-based colored pencil will depend largely on your skill set, as they are a specialized tool meant for artists who know how to work with them. Bottom Line If you have the extra cash and skill set, oil-based colored pencils are truly a pleasure to work with, gliding easily over your paper and producing a soft, yet intense finish. Unless you have the patience and budget to opt for oil-based colored pencils, we recommend you practice your technique with their wax-based counterpart.